CHICAGO (April 11, 2019) – All Campus has achieved the #32 ranking on the 2019 Crain’s Chicago Business “Best Places to Work” list and garnered the #19 ranking in the small companies category. This is the second year in a row that Crain’s has recognized All Campus for excellence in creating a quality workplace for its employees. Founded in 2012, All Campus is a fast-growing online program management (OPM) provider that serves leading universities and students. Crain’s popular Best Places to Work ranking evaluates Chicago-area companies based on confidential employee reviews and an independent assessment of policies and practices. Last year, All Campus expanded employee work-life benefits including paid family leave, flextime, telecommuting, paid time off for volunteering and reimbursement for professional development. 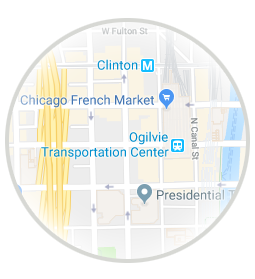 This year, the company moved to the 29th floor of the Ogilvie Transportation Center, one of Chicago’s premier office buildings, and doubled the size of its headquarters to 18,000 square feet. All Campus helps traditional universities efficiently and effectively manage online master’s and bachelor’s degrees and certificate and continuing education programs. 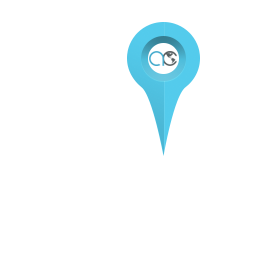 Its OPM services include integrated marketing, research, customer relationship management solutions, corporate partnerships, technology solutions, curriculum development, enrollment, recruitment, and retention. It’s often challenging for universities to find the resources, develop the expertise, and build the capacity to do this work in-house. The company’s recent office expansion supports its accelerating growth. In the past 24 months, All Campus has welcomed 20 universities as new partners or clients, expanded its relationships with six universities, and added 42 programs to its lineup of nearly 70 online and hybrid degree, certificate and continuing education programs. To accommodate this growth, All Campus has nearly doubled the number of employees in the past year to more than 80. All Campus creates value for leading universities by expanding their reach and cultivating relationships with students who seek to advance their lives through education. It offers comprehensive, tailored online program management (OPM) services, powered by industry-leading technology — all with the university’s unique identity and brand top of mind. It has built its reputation on delivering measurable results, being an honest broker, and providing high levels of service to its four primary constituencies: university administrators and marketing professionals and prospective and enrolled students. The company’s flexible payment and service options include bundled or unbundled services and fee-for-service management or a customized low and sustainable revenue share plan. Visit the All Campus website for more information.